Ashcourt Rowan PLC – one of the fastest-growing wealth management organisations in the UK, with 18 local offices – has become Regency Offices’ biggest client to date. Ashcourt Rowan has taken 10 rooms at 37 Gay Street, our tenth business centre in Bath, which we extensively refurbished and rewired over the winter. We are pleased to announce our next Business Breakfast networking event which will be held at Hall and Woodhouse restaurant on Wednesday June 13 from 8am. The venue will be again the fantastic Games Room at Hall and Woodhouse, which we think is the best location for a small event in Bath. Anyone running a business in Bath and the local area is welcome to attend. There will be two guest speakers – to be announced. The last three breakfasts have been sell-outs, so please book early! Tickets are just £12 which includes full English breakfast and tea/coffee refills. The next Regency Office’s Quiz Night is to be held again at Molloy’s Pub (opposite Theatre Royal) this time on Thursday September 20th from 6.30pm. The last event in April was a fantastic success. Clients and friends are invited to form teams of four, or just turn up yourself and we will add you to a team on the night. Entry is just £2 with prizes awarded for the best teams etc during the evening. If you would like food during the interval please turn up at 6pm and place your order in the downstairs bar. Email Brenda@regencyoffices.com if you would like to enter. May the best brains win! We’re bouled over by your response! Wow and thank you! 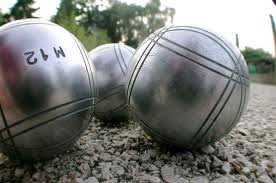 What a fantastic response to our invitation to clients and friends to join us for the 2012 Bath League de Petanque – we’re entering THREE teams for this year’s competition which runs over the summer, ending with a fantastic finals’ night in September. The dates for the 2012 League are below – all teams please be in Queen Square on the arranged dates, for registration at 5:30pm with games starting at 6pm, unless contacted by your team captain about bad weather. A big thank you again to everyone taking part.